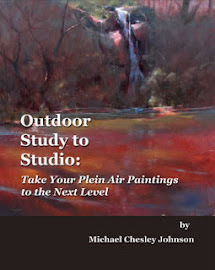 A Plein Air Painter's Blog - Michael Chesley Johnson: Play to Your Strengths—and Forget Your Weaknesses? Play to Your Strengths—and Forget Your Weaknesses? 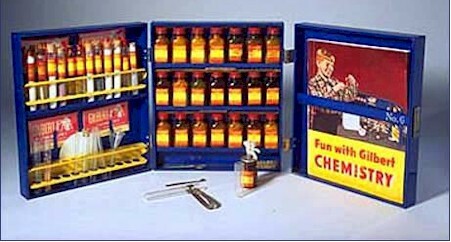 I had a chemistry set similar to this when growing up. Way back when, I entered college as a biochemistry major. Why? Science was one of my strengths in high school. I could grasp concepts faster than anyone, and I helped many a sad student who needed a complex idea explained better than the teacher could. That, and the fact that both my parents were in the sciences, told me the field was right for me. College Honors Chemistry, though, was an eye-opener. Try as I might in lab, the last few decimal places were always disastrously off. I was unprepared for the rigor of quantitative analysis because my high school program placed no emphasis on it. And it didn't help that the TAs or teaching assistants were generally unkind grad students with their noses up in the air. They offered no encouragement. So I gave up and became an English major—literature was my other love—with the hope of becoming a writer. Apparently, my performance in that was mixed, too. I'll never forget a professor who, in a review of my semester's work, remarked cruelly, "You'll never be a writer." I couldn't run an electronic analytic balance, and I couldn't write an essay. But though I gave up on one (science), I persisted in the other (writing.) Eventually, I got pretty good at writing. I've been writing for a long time now and making a living at it. What if I'd persisted at chemistry and finally mastered measuring with precision? Today I might be retiring from a long and perhaps lucrative career in biochemistry. But it didn't play out that way, since I took my weakness as a writer instead and worked on it, diligently and with discipline. When we are young, we have no clue what our strengths are. We rely on parents, teachers and mentors to help point them out to us. As we enter the world, some of us take that guidance and run with it; others, however, continue to search. Some of us, told that we have a mind for math, go to college as accounting majors and see a future in the financial world. Others, however, bounce here and there, exploring their weaknesses. (One of my favorite parts of college was that I could take electives; I relished all sorts of oddball courses.) These explorers also may end up with solid careers in the financial world, but probably not. Most all of us, however, as we move into the latter years of adulthood, will learn with some pain what our strengths and weaknesses really are—and also how well our strategy has worked. Me, I'm glad I worked on my weaknesses rather than building on my strengths. I'm a more-rounded person because of the exploring process, and as a result, I find satisfaction and fulfillment in many things. Along the way, I remembered that I've always had an aptitude for art, something that I'd not paid much attention to until well into adulthood. An aptitude doesn't become a strength until you work on it. Recognizing that art was something else I loved, I decide to embark on learning how to paint. I worked very hard at getting better. The proverbial "miles of canvas" passed beneath my brush as if on an assembly line. Playing to your strength may get you far—but just on that one strength. For example, you may have learned that you can paint mountains better than anyone. 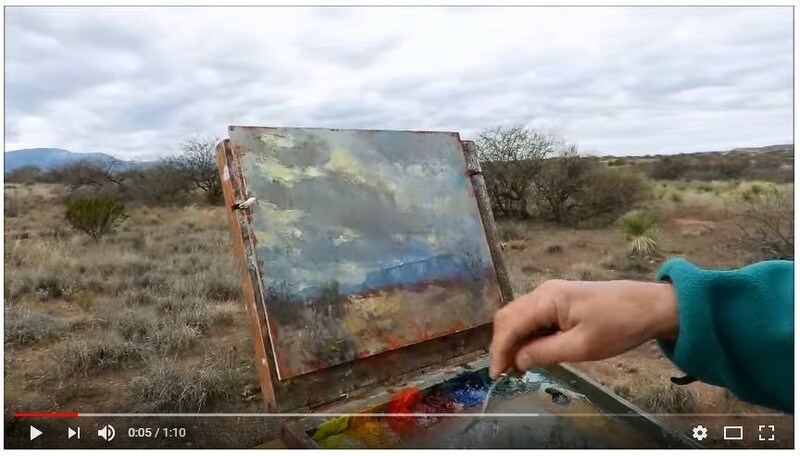 So when your painting instructor advises you to play to your strength, you study Edgar Payne and Maynard Dixon, two of the best mountain painters who ever lived, learning all you can, and paint nothing but mountains. The galleries and collectors come to love you, and you win big prizes, finally enabling you to build that 3000-square-foot dream studio. But what if the market for well-painted mountain scenes should suddenly collapse? Where would you be then? As a former Boy Scout, I had to learn many things to survive in the wild. It wasn't just about learning one thing, like how make a fire. I could become the best fire-maker there was, but if I didn't also know how to tie a knot to make a trap to catch a rabbit, I wouldn't last very long. And it's the same with art. Being strong in one area is a case of "all your eggs in one basket." You can secure continued success by not just playing to your strength but also by working on your weaknesses, which will give you something to fall back on. 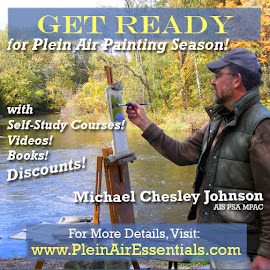 Besides painting mountains, you might practice painting portraits, the figure or the still life. You might even expand farther by refining your teaching skills or learning to write articles about art, all for supplemental income. But living is more than about just making a living. It's about Living, with a capital "L." The more things you know how to do, and to do well, the richer your life will become.